A week after the Federal Court of Appeal quashed cabinet approval of the Trans Mountain pipeline expansion project, Prime Minister Justin Trudeau said Wednesday his government is looking at all options to get construction back on track — including an appeal of the ruling and legislation. A week after the Federal Court of Appeal quashed cabinet approval of the Trans Mountain pipeline expansion project, Prime Minister Justin Trudeau said Wednesday his government is looking at all options to get construction back on track — including an appeal of the ruling and new legislation. 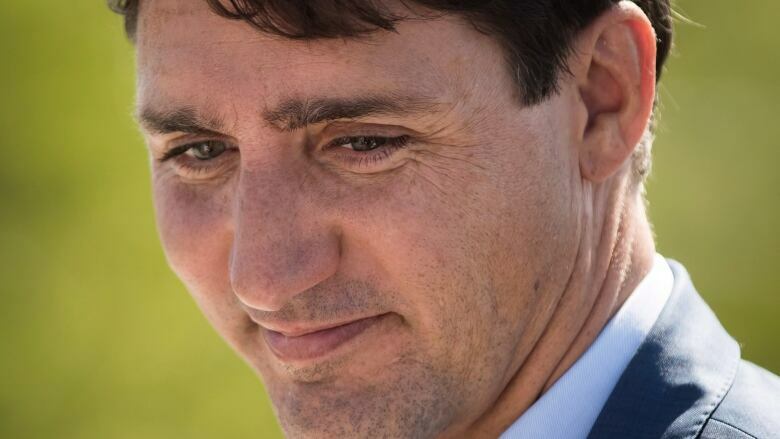 Speaking to reporters in Edmonton, Trudeau said he wants to see "shovels in the ground as quickly as possible" because the project is in the country's best interests, adding he also wants to satisfy the court's concerns to avoid further litigation. "We're looking at various options, including legislation, including appeals, and we're looking at what we need to do to satisfy the court," Trudeau said. "We have to move forward on a path that takes community and environmental assessments into account." "Canadians understand how important it is to get our resources to markets other than the U.S. right now, across the Pacific." Concluding that the federal government's consultations with Indigenous peoples on the project were inadequate, Justice Eleanor Dawson nullified licensing for the $7.4-billion expansion last Thursday, halting construction only days after shovels hit the ground on the 1,150-km project. The court said the National Energy Board should reconsider its environmental assessment process. At issue for the court was the board's silence on the impact the pipeline could have on the marine environment around the shipping terminal in ​Burnaby, B.C., situated at the end of the expanded line. The court said the NEB did not adequately address the potential impact of a substantial increase in tanker traffic on the endangered southern resident killer whale population in those waters, or the risk of a diluted bitumen spill there. The appellate court also found that the federal government did not adequately, or meaningfully, consult with Indigenous people and hear their concerns after the NEB issued its report recommending that cabinet approve the project. The government could appeal the ruling to the country's top court, the Supreme Court of Canada — something Alberta Premier Rachel Notley has suggested. It also could pursue a legislative fix to ensure temporary operating permits, or impose a tight timeline on a renewed consultation and assessment process. 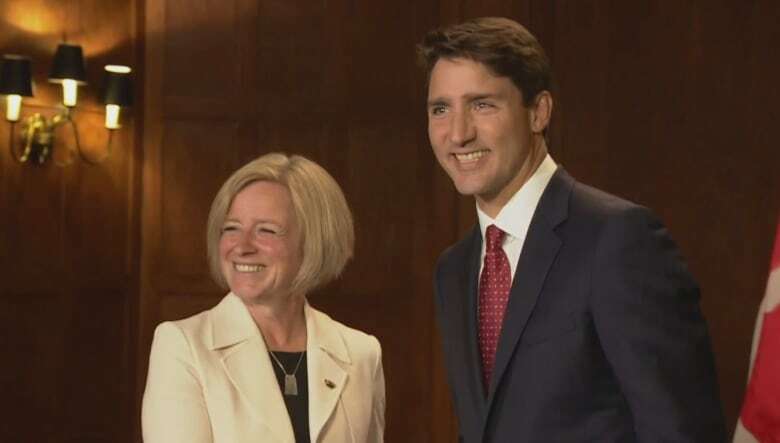 Trudeau met with Notley Wednesday afternoon — their first face-to-face since the decision was made public. Before that meeting, Notley told reporters that any federal response likely would have to go beyond an appeal. "The federal government appeal of this decision, in and of itself, is probably not going to get us there ... we have to look at other solutions," Notley said, adding that those other solutions would have to "respect completely and follow everything that we need to (do) with respect to Indigenous consultation" while preserving marine safety. The premier also laid some of the blame for the project's shutdown at the feet of the previous federal Conservative government. "You all know my view on the federal Court of Appeal decision. It identified some problems, including problems, that quite frankly, we inherited from a system that was set up by former prime minister [Stephen] Harper. We're focused now on finding a solution." Trudeau used the pre-meeting photo op with the media to repeat his message that he is committed to getting the pipeline built and understands the stress the delay is causing Alberta. "We know Albertans were disappointed, as were many Canadians, with the decision. It was a hard blow to a province that has come through a difficult time and was beginning to see a brighter path forward," he said. "This court response is a difficult one but it is also giving us a path forward to fix the challenges that we face." Pipeline proponents have called for an appeal to the top court, saying it would provide clarity on what the federal government needs to do to satisfy its constitutional duty to consult with Indigenous peoples before approving major natural resource projects. The federal government has a duty in law to consult with Indigenous communities wherever there is a claim that an Aboriginal or treaty right might be breached by such a project. Some observers have suggested the Federal Court's ruling clashes with what the Supreme Court laid out on this issue last summer in its Clyde River decision. Consult with First Nations, Métis and Inuit communities in the future. Hold oral hearings and provide written responses. Fund Indigenous efforts to intervene. Use its considerable quasi-judicial powers to compel companies to hand over pertinent information. Help Indigenous Peoples solicit real answers from often secretive proponents. Proponents of Trans Mountain thought the government had done enough on this front to meet these legal demands. A Supreme Court review of this case could clear that up. Also in Edmonton, Trudeau touted Bill C-69, a piece of government legislation currently before Parliament that will overhaul the NEB and streamline environmental regulatory process. Trudeau said the new process for projects will ensure that proponents are "much less likely to be slapped down by a court case like this." After last week's court decision, Notley announced she was pulling Alberta out of the federal climate plan until construction begins again — if it does at all.